Kodiak isn't about selling products, and it's much more than just a word. Kodiak is a family run and operated business. We pride ourselves on heirloom quality leather pieces that you can pass on to your children, and they can pass on to theirs. We started hand-crafting and selling our first products from home. They're still made with care by hand, and we inspect every piece before it's shipped to you. We're passionate about people, and we're passionate about leather. Everything we make, is made by hand. We check it once, then check it again, and again, before we send it to you. We want to sell you heirlooms - treasures that can be passed down from generation to generation. And they aren't just constructed to last a lifetime - they're designed to look good year in and year out. We stamp a Lifetime Warranty on everything we sell. End of story. 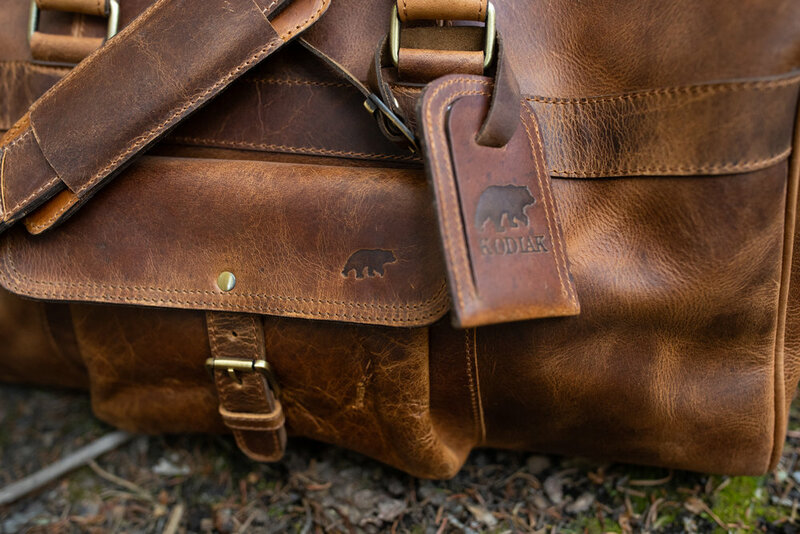 While the inspiration and design for our leather goods is created in Lehi, Utah, we proudly partner with world class artisans from the US to India who share in our passion and meet the highest standards of quality and ethics in producing Kodiak Leather products.